Leading Manufacturer of J Type 8 Channel Data Logger, S Type 8 Channel Data Logger, R Type 8 Channel Data Logger, K Type 8 Channel Data Logger and T Type 8 Channel Data Logger from Mumbai. We offer to our clients 8 channel data logger which take 8 j type thermocouple inputs. These J type sensors when protected by compacted mineral insulation and appropriate outer sheath, J type data logger is useable from 0 to 816º C,(32 to 1500ºF). Ajinkya Electronic Systems manufactures and exports wide range of Data logger. Our 8 channel data logger takes 8 S type thermocouple input. These S type based data logger are usually used in most applications. Type S when protected by compacted mineral insulation and appropriate outer sheath, Type S data logger is usable from 0 to 1482ºC, (32 to 2700ºF). These 8 channel Data Logger takes 8 R type Thermocouple inputs. These R type when protected by compacted mineral insulation and appropriate outer sheath, Type R data logger is usable from 0 to 1482ºC, (32 to 2700ºF). K Type 8 channel Data Logger. 8 channel data logger takes 8 K type Thermocouple inputs. These K type Thermocouples based data logger usually used in most applications. It is the Most common sensor calibration type providing the widest operating temperature range. Due to its reliability and accuracy the type k thermocouple data logger is used extensively at temperature up to 2300º F (1260ºC). 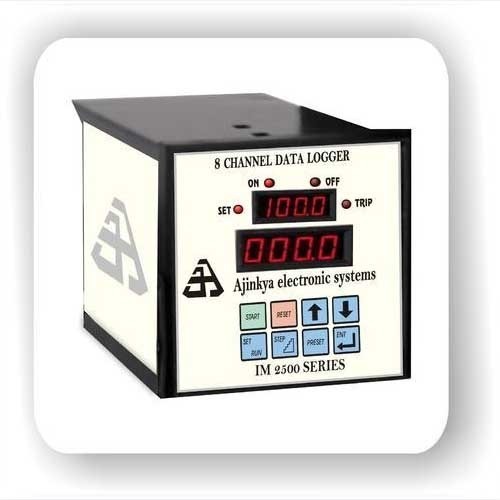 Ajinkya Electronic Systems Manufactures Wide range of data loggers. Our 8 channel data logger takes 8 T typeThermocouple inputs. These T type themocouple based data logger when protected by compacted mineral insulation and appropriate outer sheath, Type T is usable from 0 to 350º C, (32 to 662ºF). Type T is very stable and is used in a wide variety of cryogenic and low temperature applications. By: Kusam-meco Import Export Pvt. Ltd.